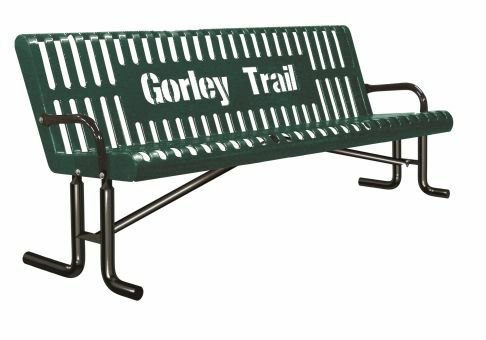 This 6' custom bench has a new design with oval slats and a large space in the center for personalization. It is available in portable, surface, or in-ground mounting options. Length: 74.5" - Width: 30.5" - Height: 33.1255"
Seat Depth: 18" - Seat Height: 18"
Each job must be quoted individually. 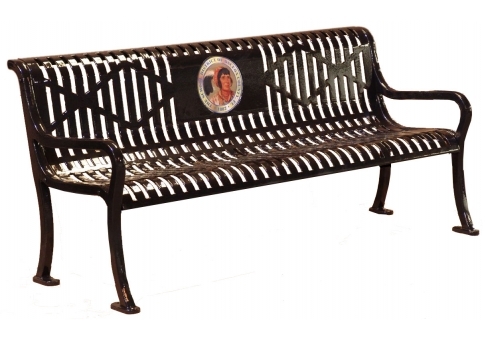 Please call customer service (800.278.4480) or use our contact form to get a quote for your bench.